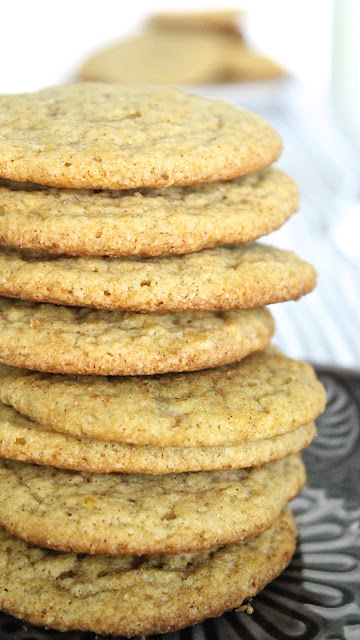 Crispy, chewy, and eggless pumpkin cookies with pumpkin puree and pumpkin pie spice. So easy and so good! Hello again! Are you having a good November? I certainly hope so! Before I talk about these delicious Pumpkin Cookies that are a little taste of fall in every bite, I would like to give you a quick update on my little corner of the world. I hope it is okay. The home project is going well. It felt so good to let go of "stuff" that has taken up space and collected dust over the years. Fortunately, our house has a lot of storage space. Unfortunately, it has been fully utilized. Therefore, it has been a time-consuming and tedious project to sieve through every box and bag with a fine-tooth comb. The one day that I actually enjoyed the chore was the day I went through the collection of my children's artwork and school writing assignments. They were priceless and made my heart melt. If they were the only memorabilia I could keep, it would be fine. As a mother, they are the possessions that mean most to me. That was a good cleaning day. With the exception of a couple of child-proof cabinet hooks, the daycare supplies and gear have been long gone. Even now, as I walk through the house, I am thrilled that it feels like a home, not a place of business. But with that being said, I have kept in touch of a few of my former clients. The children seem to have adjusted to their new schools nicely...I had no doubt that they would. I have been lucky over the years and have had a great group of children and families to work with and wish them all well. My husband and I started to tackle our DIY list. First, is painting part of our main floor. Once it is done, we will move onto the next project. I am looking forward to it...whatever it may be. We will have something to focus on this winter other than the frigid weather! Woo-hoo!! Now, onto the star of the day. These simple cookies are crispy-chewy, buttery, with an essence of pumpkin pie. Cookies with all the works are great and wonderful, but sometimes, I am in a mood for no frills deliciousness. Enter these Pumpkin Cookies (sorry of for the incredibly uninspired name). 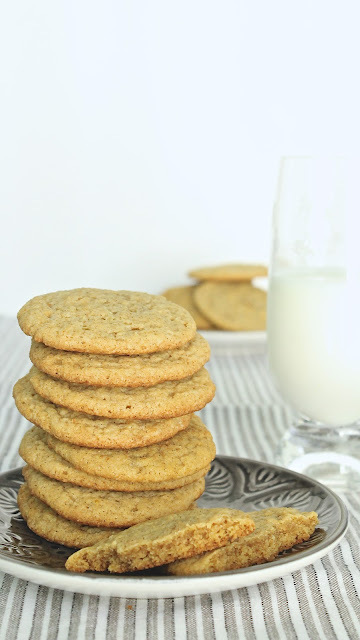 For those of you who are on an egg free diet, you are going to like these as they are eggless cookies. What is in there are pumpkin puree and pumpkin pie spice. Even though there is a very small amount of pumpkin puree in the recipe, just one quarter cup to be exact, it is essential. Do not omit it! You may be asking, "What am I supposed to do with the rest of the pumpkin?" I know it seems a little wasteful to use only a fraction of the can, but do you know that you can freeze the unused portion? Yep!! You can! To freeze, just place the puree in a heavy duty zip lock bag, pressing all the air out prior to sealing. In fact, you can store the pumpkin in quarter cup serving per bag. 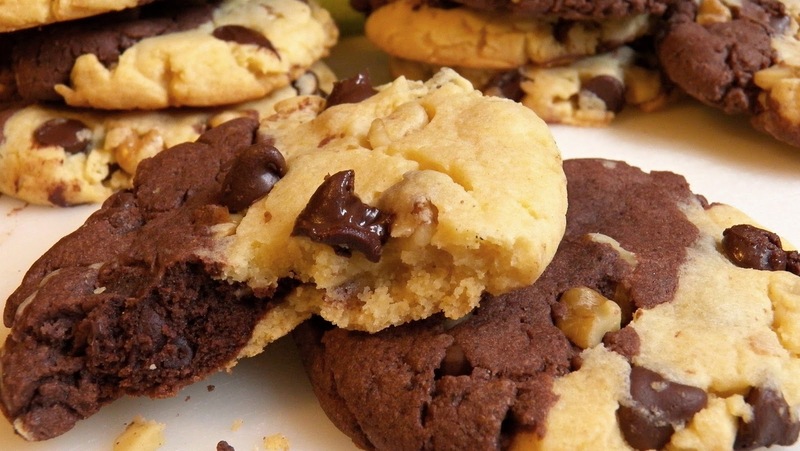 And the next time you want to make these cookies, just pull out one bag from the freezer and defrost. Frozen pumpkin puree has a shelf life of several months. When defrosted, there may be some excess moisture, but dabbing it off with paper towels should suffice. Enjoy! I hope to see you back here soon! Combine flour, salt pumpkin pie spice, baking soda, and baking powder in a small bowl. Set aside. In a separate bowl, beat butter and sugar until creamy. Add half flour mixture. Blend slightly to incorporate the flour. Add remaining flour, blending until crumbly. Add pumpkin puree. Stir until just blended. Drop by rounded tablespoon, 2 inches apart, onto ungreased baking sheets. Bake for 9 to 11 minutes. Allow to cool on baking sheets for a minute prior to placing on cooling rack. To prevent cookie from softening, store refrigerated in an airtight container. Makes about 20 cookies. Hi Thao. Nice to hear things are going well in your life and I totally understand about having diy projects for the house, I would think life boring if my house was perfect and there was nothing left to be done except cleaning. :) I really mean that!! 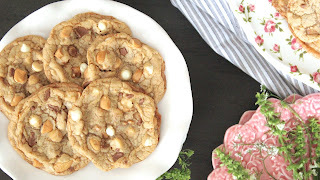 The cookies looks perfect, I would definitely like to have some and I wouldn't worry about leftover pumpkin puree, there are so many great things one could do with it. You are so right, Adina. Perfect can become boring. Making changes to your home may be a lot of work but I find it to be reenergizing too. I'm glad you like the cookies. I am sure you have lots of fantastic recipes using pumpkin puree. Have a wonderful Thanksgiving! So glad to hear the cleanup went well :) These pumpkin cookies look delicious! Love that they are eggless! I adore pumpkin, but I've never attempted to make a pumpkin cookie --- thanks for the inspiration Thao!! I'm glad that I have inspired you, Sue! These cookies look marvelous---so buttery with a touch of pumpkin and spice! P.S. I need to take a cue from you and purge our basement!! Yum! These pumpkin cookies look perfect! I do a lot of egg free baking during the fall & winter months went my chickens aren't laying as much. I hear you about letting go of the "stuff" that has accumulated...it's my major winter project this year. I want to go through my house and get rid of things too! Perhaps I should reward myself with some nice pumpkin cookies!! 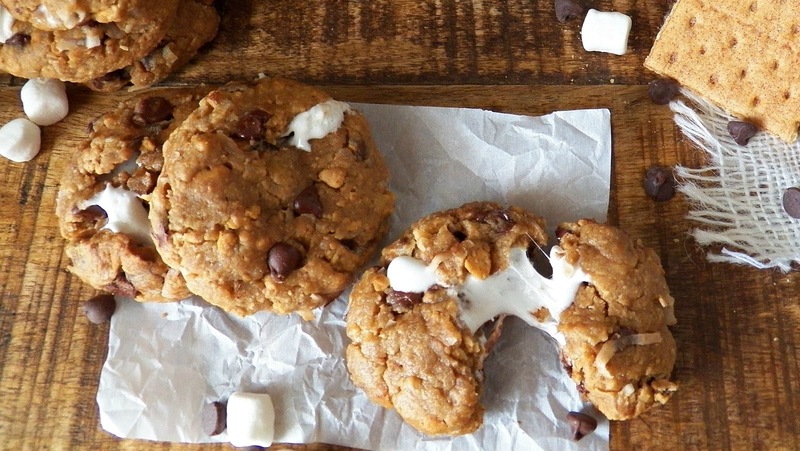 I love a good pumpkin cookie and these look delicious! Your Pumpkin Cookies look fabulous! Thank you so much for sharing with Full Plate Thursday and have a great day. Thank you, Miz Helen. They are one of the easiest desserts I'm going to make this holiday season.